Best Western Central hotel is located in the Old Town of Druskininkai, in the vicinity of the resort health centre, an aqua park, a pedestrian avenue, M. K. Čiurlionis Memorial Museum, outdoor tennis courts, the town beach, a quay, and cycling paths. A compact-sized, two-storey building with a mansard, the BEST WESTERN Hotel Central in Druskininkai offers excellent conditions for important meetings and seminars as well as relaxation and parties with friends or colleagues in Lithuania. The hotel in Druskininkai houses a cosy hall (25 seats) fitted with every kind of modern equipment for conferences, seminars, and meetings.Catering services are offered to conference or seminar participants: coffee breaks, business lunches, or festive dinners in the hotel restaurant can be ordered. 3 stars hotel Credo is located in calm pedestrian alley in the centre of the city, near neogothic style church and very close to the lake of Druskonis. The hotel is 5 minutes walk away from the health resorts of Druskininkai, spa, Aqua park, cafeterias, restaurants, banks, beauty salons. One of the best in Europe "Snow arena" can be reached in 15 minutes walking by foot. Very close to hotel "Credo" is located the museum of Druskininkai, the art gallery of V.K. Jonynas and the museum of famous painter and composer M.K. Čiurlionis. Four seasons of the year are filled with fresh air and colorful landscape. In the hotel there are very good conditions for organising conferences, seminars, presentations, trainings, press conferences and business meetings. Credo offers the best conditions for the performances, necessary equipments, settlings, a nourishment. The main aim is to organise a performance, that you and your guests will feel comfortable and satisfied spending a pithy time here. Hotle Dainava is situated in the very centre of Druskininkai, next to the Aqua Park and the senatorium of the resort, Pramogu square and the Adventures Park. You will find cable TV Internet access and telephone here, so it will be comfortable for you to have a rest and to watch the world events. 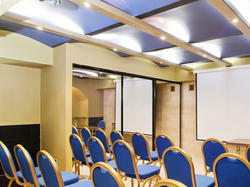 The conference halls are equipped with newest equipment: a simultaneous interpretation system, discussions equipment. 8 m width screen, modern audio and video systems, interactive boards, conditioners, WiFi. The modern hotel De Lita is situated near park, away from the noise of the town, but just a few minutes walk to other amusement and shopping centres. 38 rooms, a silent lift, covered terraces and a calm environment assures a calm and comfortable rest for guests. 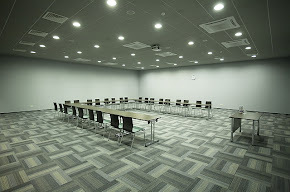 There is a conference hall (up to 30 people) and meeting room (up to 16 people), suitable for conferences, seminars and other events. These premises are equipped with the facilities necessary for meetings and seminars: there is a laptop, multi media projector, TV set, board, block of notes, screen and quality air conditioning system. Europa Royale Druskininkai is the four-star hotel in Druskininkai, was established in a thoroughly reconstructed 19th century building formerly known as the famous SPA of the Czar. The hotel is located in the old part of spa town Druskininkai, praised for its unique natural resources. Europa Royale Druskininkai is directly connected to the most famous health centre Druskininkų Gydykla where natural mineral water, healthful body mud and modern technologies are used for health, beauty and relaxation procedures. Hotel complex Galia is divided in three separate buildings, Vita, Tomas and Aiste, and all of them are situated not far away from each other. This property is well - located in a quiet centre of Druskininkai resort. 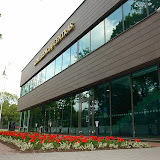 The guests may choose to indulge in the sauna and swimming pool; there also can be arranged healing treatments, an interesting steamboat trip on the Nemunas River, popular cycling tours around Druskininkai, sightseeing trips and excursions to famous places of Lithuania such as Vilnius, Kernave, Palanga, etc. Alternatively, guests may visit Druskininkai Health Centre or Aquapark. 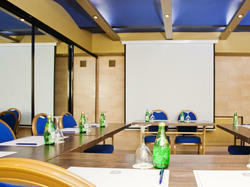 The guests have a possibility to arrange conferences and seminars in the conference hall in Vita. There is all necessary equipment for your event: projector screen, flipchart with pens, TV set, Internet access, laptop computer and a multimedia projector. Coffee breaks during the conferences is also arranged. Your conference has the capacity to seat up to 30 delegates in classroom style layout, 56 delegates in theatre style layout and 20 delegates in U-shape layout. The hotel organizes family holidays, conferences, seminars, training, accommodation, catering services, as well as massage services, styling and beauty services. Our goal is to offer the best combination of work and leisure, create an optimal atmosphere of relaxation, beautiful memories and feelings. Our staff is always ready to offer you something individual to meet your needs. Grand Spa Lietuva is one of the biggest health and relaxation complexes situated in the very heart of Druskininkai, at the confluence of the Nemunas and the Ratnyčėlė rivers. 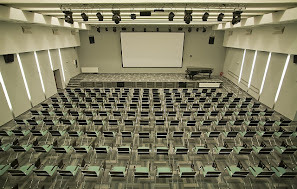 The Conference Centre is one of the biggest and most modern conference and events centres in Dzūkija. For conferences, seminars and other kinds of the events there are six halls of various sizes on offer. The conference centre of the Grand SPA Lietuva is connected to 3* and 4* hotels, treatment centre, and Aqua Park. All the facilities are accessible without ever leaving the Grand SPA Lietuva; therefore, work-related conferences and other events can easily be combined with wellness procedures and entertainment. The hotel can offer you the best combination of work and leisure activities.